August 01, 2018, 2:27 p.m. The annual rankings show that the organisation retains its position at the top of the list, while Cancer Research UK stays in second place. The British Heart Foundation retains its place in third, while RNLI takes fourth. Rounding off the top five is Guide Dogs, which has overtaken Marie Curie this year, placing them back one spot to sixth. Great Ormond Street hospital is in seventh place, followed by NSPCC who also hold last year’s title in eighth. Notably, Help for Heroes has overtaken British Red Cross for ninth place, with British Red Cross rounding off the top ten this year. 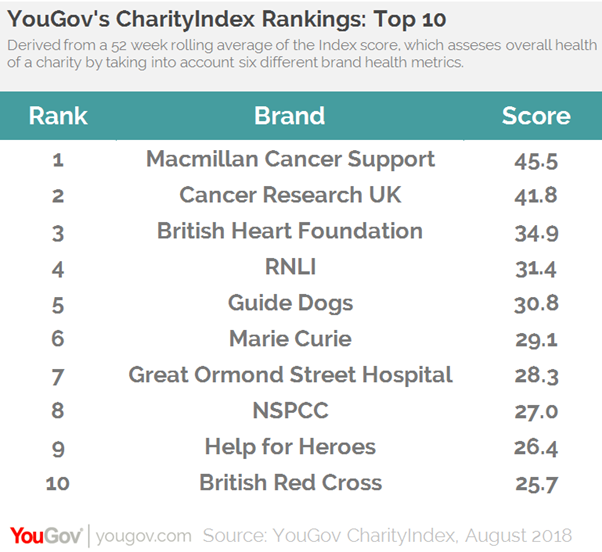 Analysis of 32 leading charities that YouGov CharityIndex has tracked continuously over the past four years shows that their aggregate Index scores – measuring overall brand health. The Index score takes into account perceptions of a charity’s quality, value, impression, satisfaction, reputation and whether consumers would recommend the brand to others. The results are taken from the 1st July 2017 to the 30th June 2018. RSPCA is the charity that has experienced the greatest uplift in its Index score, with a change in score of +2.2. Dogs trust moves up six points from last year in the most improved list, climbing from eighth to second with an uplift in Index of +1.6, followed by Prostate Cancer UK in third (+1.5). Guide Dogs (+1.4) and Battersea Dogs & Cats Home (+1.4) round off the top 5. 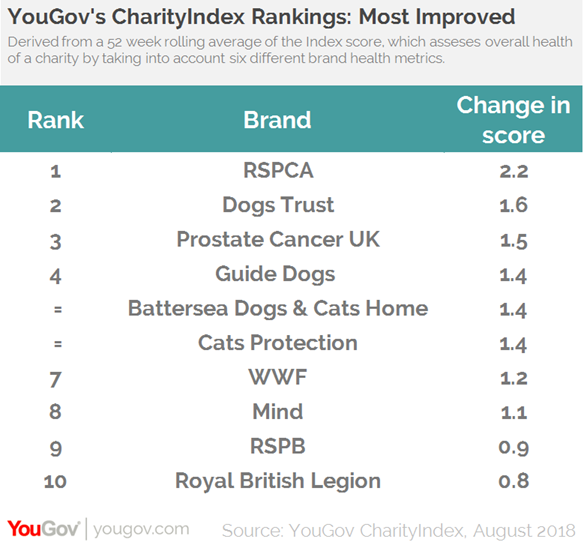 Another animal charity, Cats Protection, is tied with the above on +1.4, followed by WWF (+1.2), Mind (+1.1), RSPB (0.9) and Royal British Legion as tenth most improved (0.8). 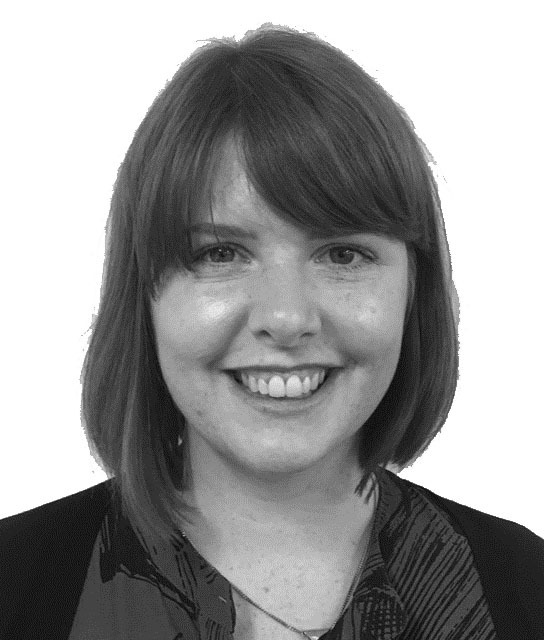 Overall, our rankings reveal another strong year from Macmillan, Cancer Research UK and British Heart Foundation, showing that they still hold the lead for public perception. In terms of top improvers in the charity sector, it would seem that animal focussed charities have been less affected by negative news stories over the past year. Through more audience-centric and impactful campaigning Prostate Cancer UK, Mind and the Royal British Legion (non-animal charities) have been able to enter the top ranks this year, with all of these charities seeing statistically significant positive changes in their media focused metrics also tracked by CharityIndex which look at Brand Sentiment and Ad Awareness.